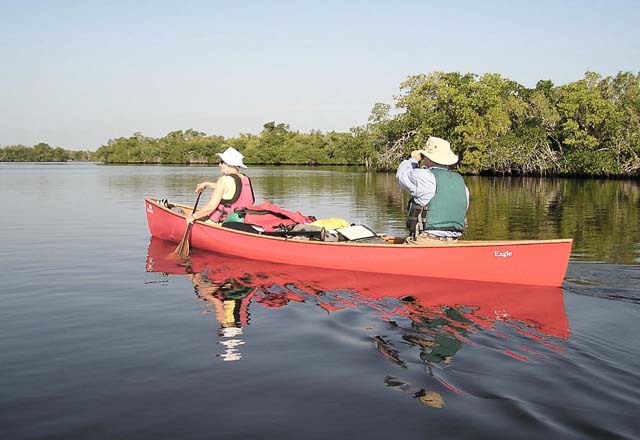 Light, sturdy and versatile; the Eagle was designed and constructed in the image of the renowned workhorse canoes of historic northern waterways. The names are legendary: "Prospector", "Voyageur", "Explorer" - world famous as the only means of transportation for tough people in harsh environments. Built to be used where no compromise is asked nor any given in canoe design and construction. 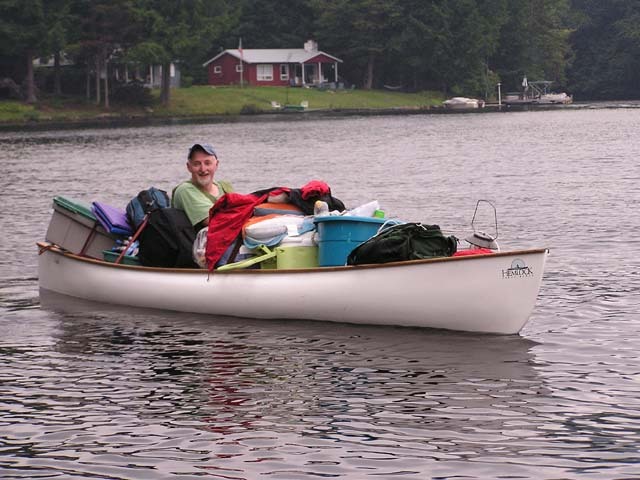 Simply, a canoe to get you there and back; wherever 'there' is. The Eagle was created to fit these criteria. 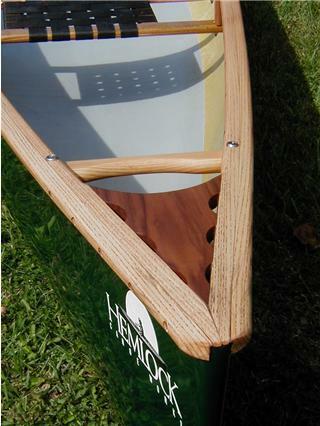 Recurved sides with flared ends allow two design innovations of note: First, the gunwale width at center is reduced to 32". The immediate result is increased comfort and control while lifting and carrying. 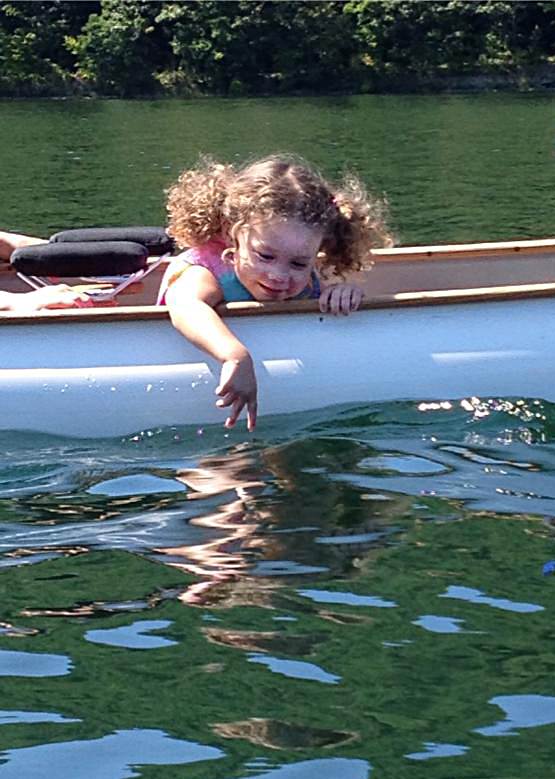 Secondly, the gunwale width at the paddling stations (in front of each seat) is kept at 24". 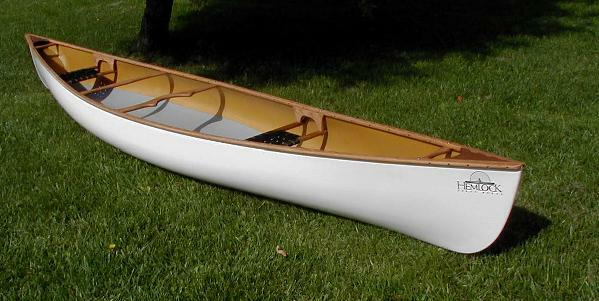 This is a marked improvement over most canoes of this type as they tend to be several inches wider, especially at the bow seat, making paddling difficult at that position for smaller people. Stability and seaworthiness have not been compromised by these design considerations. Finally, careful control over materials and workmanship allow us to build the Eagle at very acceptable weights with no compromise in strength or durability. 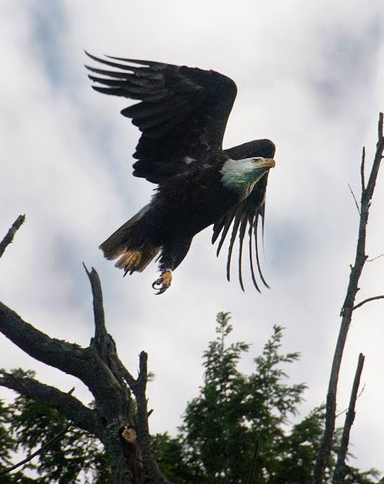 Your wilderness may be an Arctic river, or it may be an Adirondack lake; in either case the Eagle will take you there; easily, safely and quietly. Hull Width - at gunwales : 32.0"
Hull Width - maximum : 35.25"
Hull Width - at 4" waterline : 32.25"
Hull Depth - bow : 20.0"
Hull Depth - center : 14.0"
Hull Depth - stern : 20.0"
Hull Rocker - bow : 1.75"
Hull Rocker - stern : 1.75"
Avg WT - Kevlar®/Hybrid hull : 53 lbs. Avg WT - Premium+ hull : 50 lbs. Avg WT - Premium Lite hull : 48 lbs. Capacity - Maximum : 900 lbs. Capacity - Efficient : 400 - 700 lbs. Two-tone Gel-coat is available as an option.